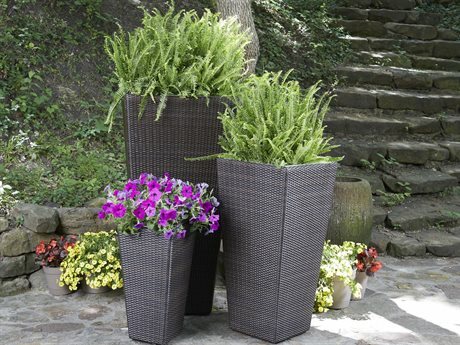 Patio planters bring both striking beauty as well as functional value to any outdoor space. 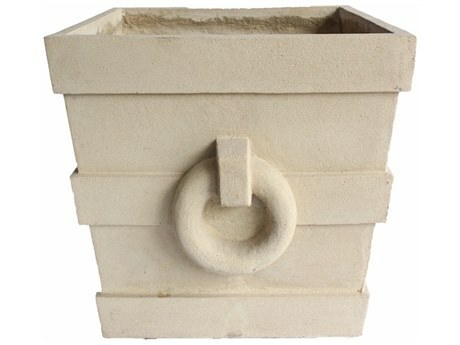 Patio planters include both traditional planters as well as plant stands, and can be crafted in various styles and from numerous fine materials. 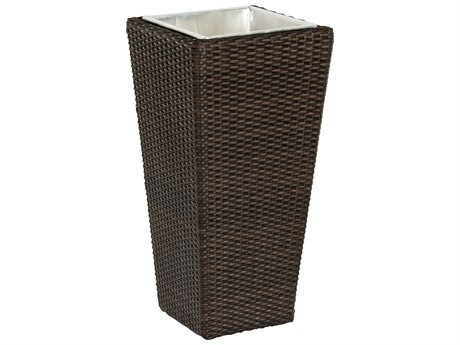 With aesthetics ranging from elegant traditional to posh contemporary to coordinate with your existing patio set, PatioLiving carries a diverse inventory of planters including various sizes, shapes, and colors, with selections to appeal to the needs of any outdoor decorating project or backyard living aesthetic. 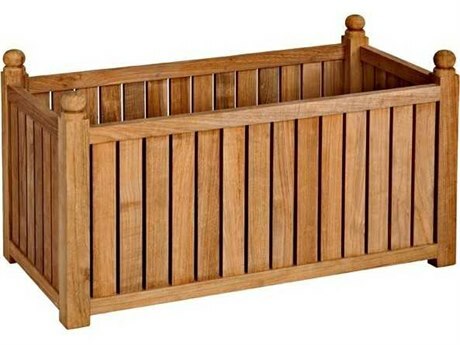 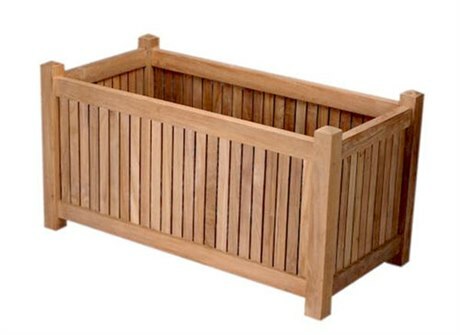 Among other premium brands, PatioLiving offers planter boxes manufactured by Alfresco Home and Oakland Living. 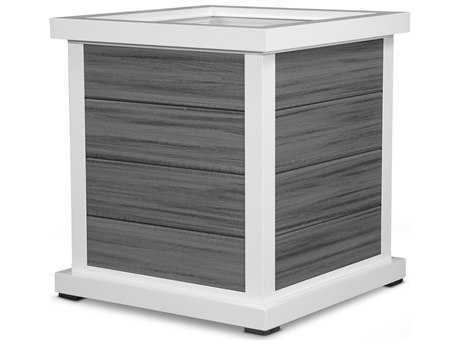 The styles and types of patio planters available through PatioLiving includes a diverse mix of options, each with distinctive elements and aesthetic trademarks. 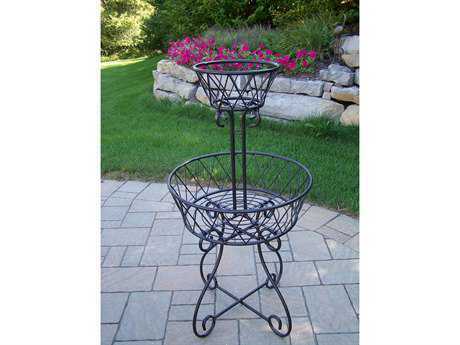 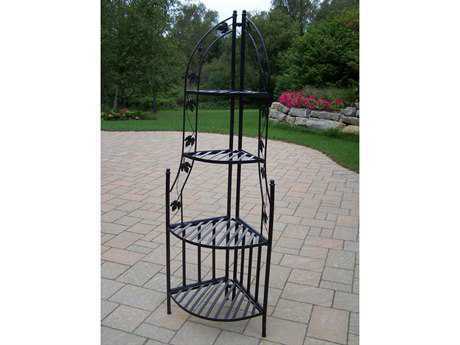 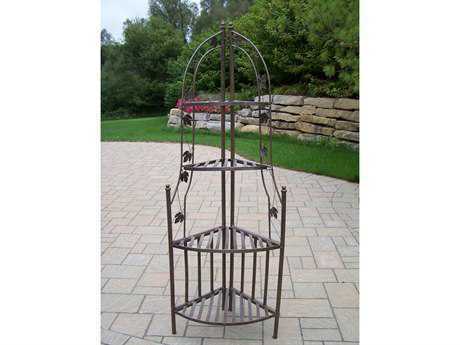 PatioLiving offers both plant stands and planters. 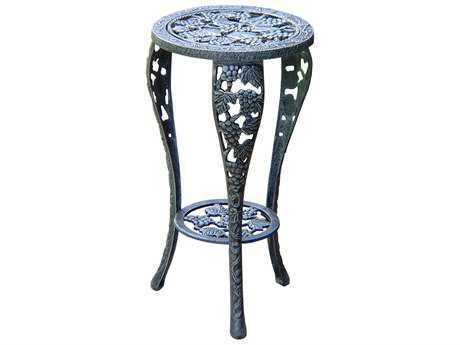 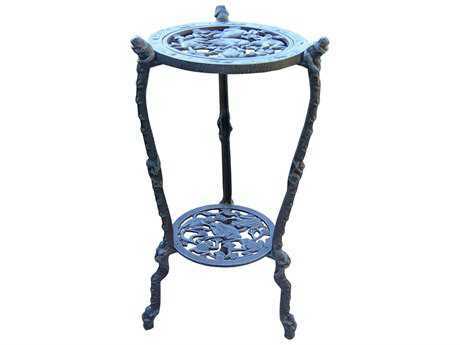 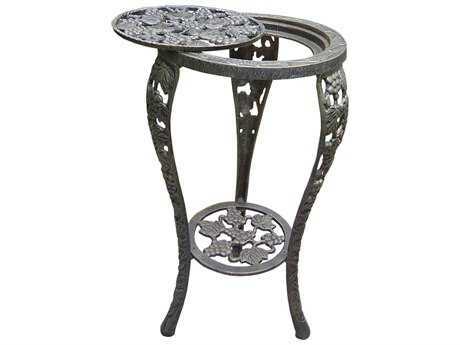 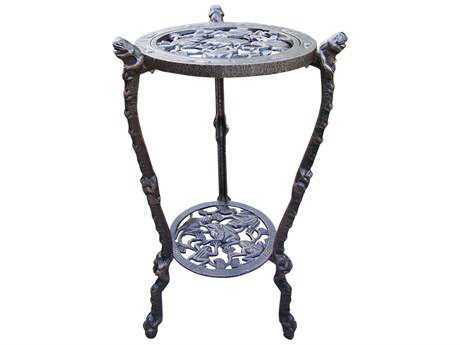 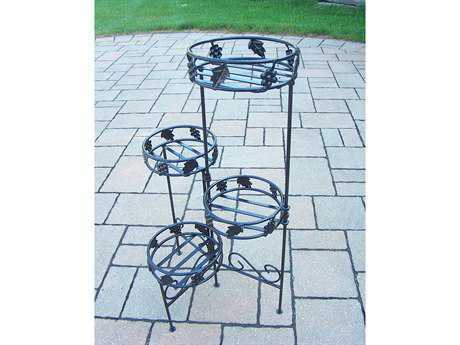 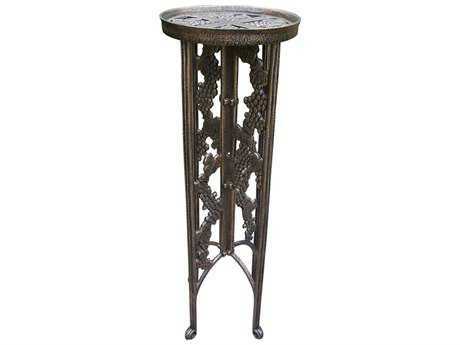 Plant stands generally feature a round or square display plate, situated atop a tall stand with three or more legs or one primary support beam. 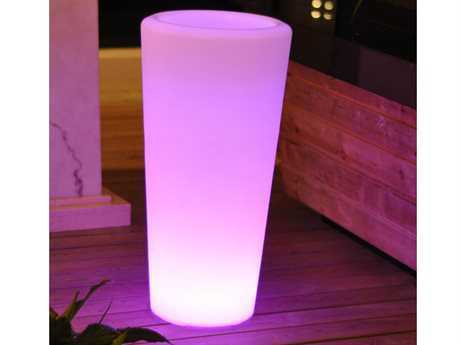 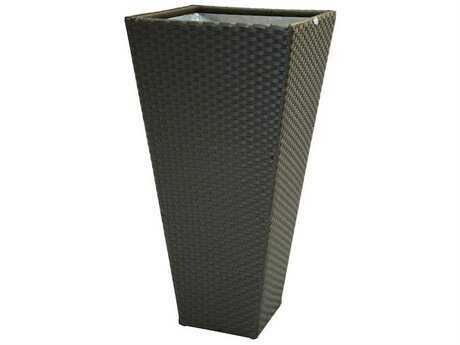 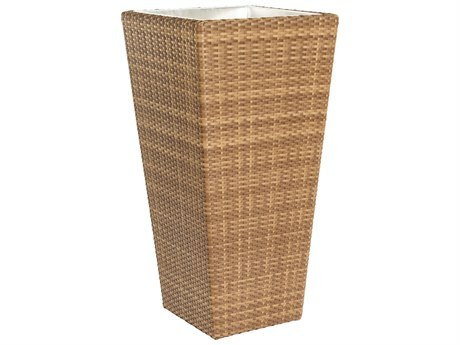 Planters can be box shaped or spherical, and usually sit lower to the ground, with a sizable center chamber suitable for growing plants or herbs. 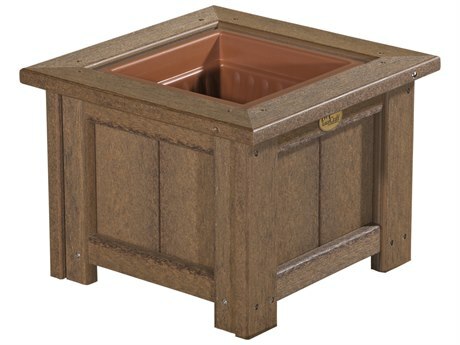 Patio planters and planter boxes can be crafted from a variety of materials, which largely determines the general aesthetic of the planter. 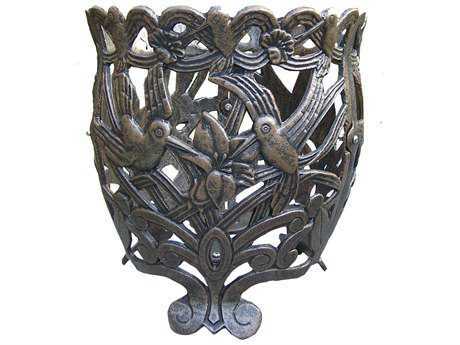 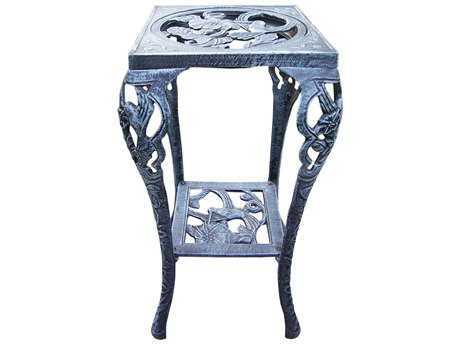 Popular materials include teak, cast iron, wicker, earthenware, and aluminum. 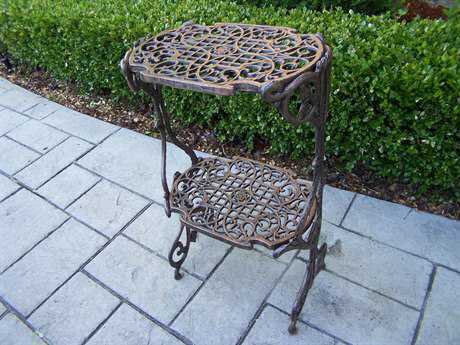 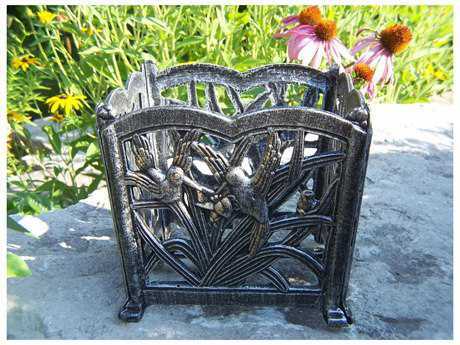 Cast iron planters and plant stands often feature curved feet and ornate designs that mimic organic elements such as vines or plants. 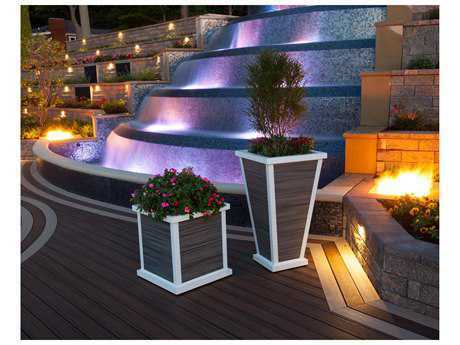 These types of planters connote a traditional and upscale aesthetic, making them appear harmoniously in almost any outdoor space. 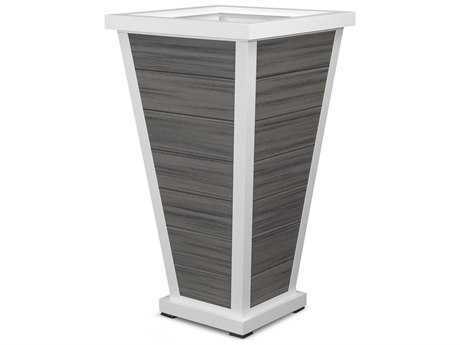 A more bold stand style, grand pedestal varieties make for a dynamic look with striking visual impact. 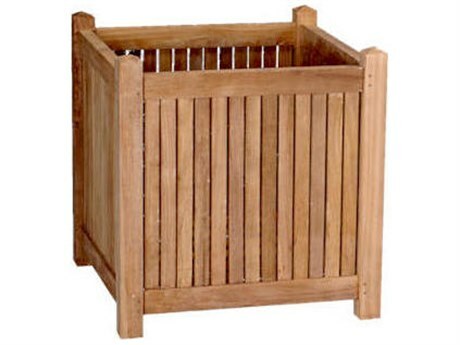 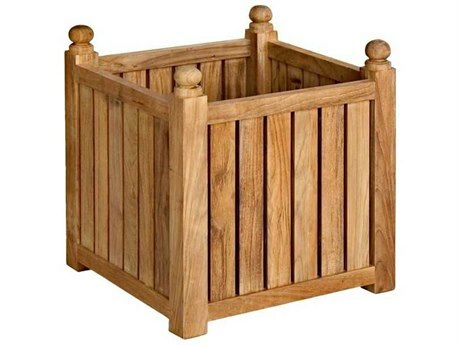 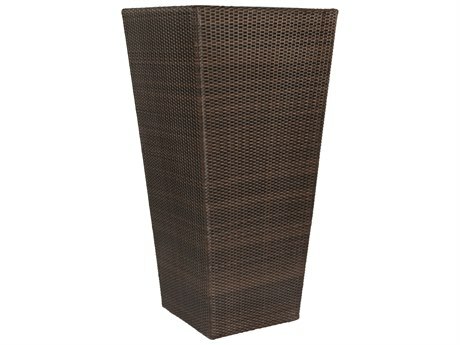 Wicker planters usually feature geometric shapes and sharp lines with an inner box for growing plants. 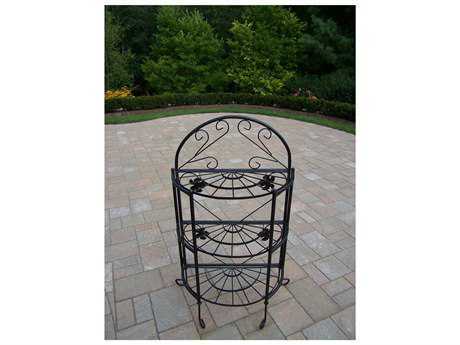 Various stand style options feature mosaic stone tile tops with intricate designs. 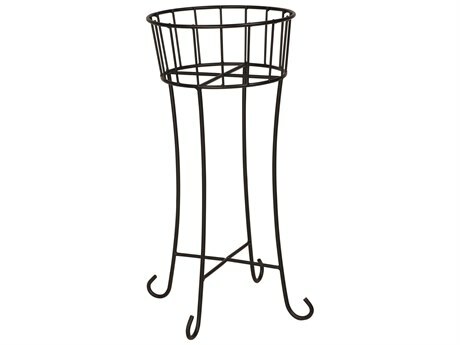 Planter sizes range from 5" to 84" or more, with our smallest planters intended for display on tables. 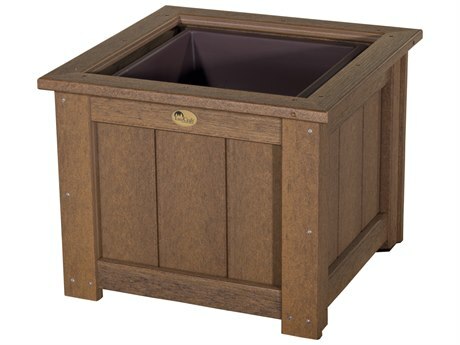 Patio planters and flower boxes bring decorative and functional value to any outdoor space. 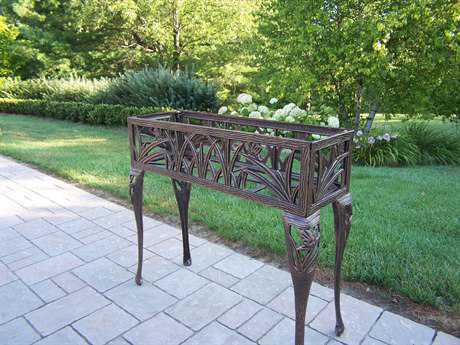 These decorative accents make it easy to incorporate organic elements, such as flowers and herbs, with any dining set, lounge set, or other outdoor furniture arrangement, contributing to a more coherent and balanced patio aesthetic. 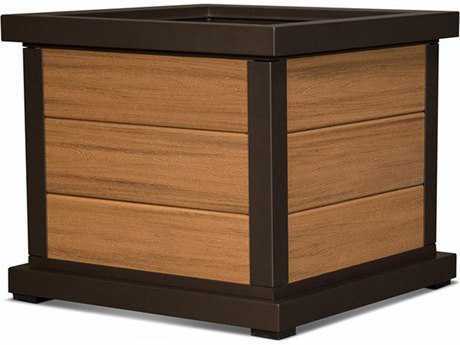 Planters also allow for more controlled gardening, enabling you control the soil quality, supplemental nutrients, and water distributed to your plants. 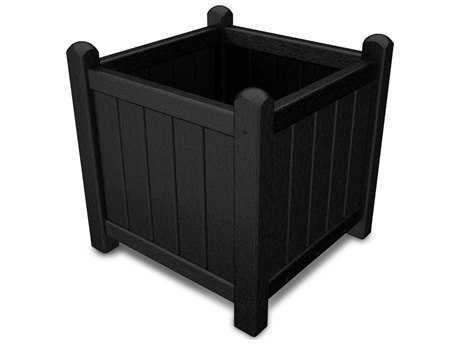 Lightweight and compact, planters can easily be moved around any patio or backyard to control plants’ sun exposure, or even carried inside to protect plants from frost during the cold winter months.